Mexico City Travel Guide is here! After seeing countless photos flood my feed, I've been dying to go to Mexico City and so thankful we finally went! Note: we did go during one of the cloudiest / rainiest times and there was an 8.4 earthquake that hit during our time (visit here for ways to help!) there but we still had an amazing time! The city is massive and reminds me of a sprawled out Los Angeles with European vibes you would find in Madrid or even Buenos Aires. Because it's such a major city you have all the shops, boutiques, restaurants you would find in say New York or SF. 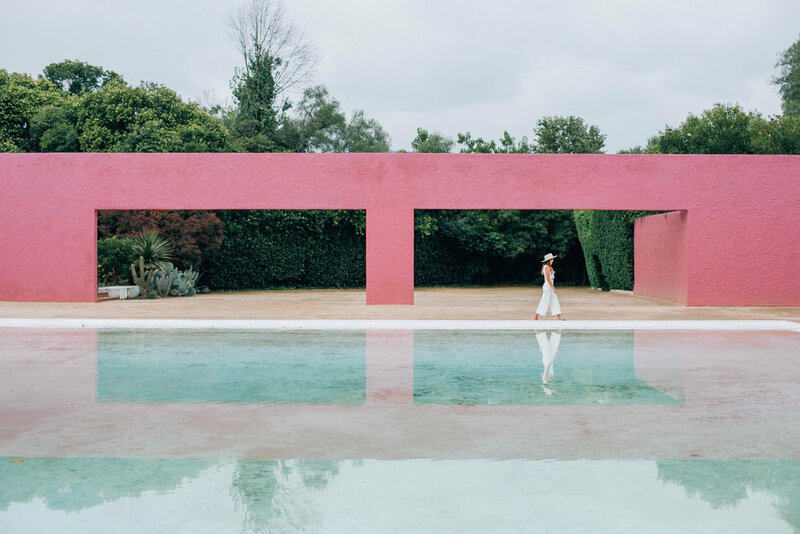 What makes it stand out for me is the architecture and the famous works of Luis Barragan. We got to visit the Cuadra San Cristobal which is just outside of the city and was definitely one of my favorites. Hands down my favorite thing we did was take an Airbnb Experience with Casa Jacaranda where we learned how to cook a traditional Mexican meal after heading to the local market for all the ingredients. Alberto did such a fantastic job of explaining all the different spices, chilis, meats and veggies we would be using and made us feel like we were hanging out with a friend or even a cousin. The cooking class took place at his incredibly well designed home in Roma Norte. The space was stunning and was a true reflection of his fun, welcoming, and vibrant character. We learned how to make sopes, tamales de mole and fish tacos. Best meal I had in Mexico City. I can't recommend this experience enough! You're going to make some amazing friends and leave not only with a full stomach but you'll be dying to buy yourself a molcajete to make your own salsas! 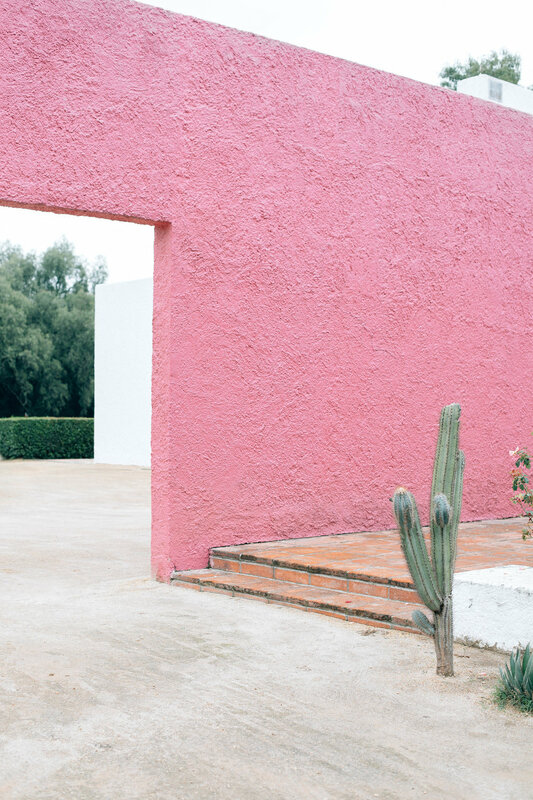 Another interesting architectural feature in Mexico is the home / studio of Frida Kahlo and Diego Riveira. Unfortunately the rain came before we were able to capture more of this space but it was very interesting to see where and how they lived. Our Airbnb in Condesa by the Local Way was so inspiring. Not only was it in a perfect spot to explore Condesa and Roma but every piece in the home is designed by a Mexican local artist. The best part is, you can buy anything in the home! It was like living in a locally curated home catalog. The team at the Local Way is also fantastic and made us feel like we were best friends. We were debating whether or not we should take the day trip out to Teotihuacan and are super thankful we did. Teotihuacan, Mexico is home of both the Pyramid of the Sun and Pyramid of the Moon. We were going to do a hot air balloon ride over the pyramids for sunrise but again, we had bad luck with the weather as it was mostly cloudy and began to rain at the end of our time but it makes for good moody grams? It was super impressive to see this place in person. If you're into an urban getaway, this is your spot. There is so much to do and see in the city and it really truly is massive. Here is my Airbnb wishlist for Mexico City! If you want $40 off your next Airbnb stay click here.